Ethanol extracts of several Chinese legumes were prepared and their estrogen-like activities were examined using the modified MCF-7 cell proliferation assay method (E-SCREEN assay). The possible mechanisms were addressed using cell cycle analysis and reverse transcription-polymerase chain reaction (RT-PCR) measurement in which a pure estrogen receptor antagonist ICI182,780 was employed as the tool agent. The legumes selected in this study were Mung bean (Vigna radiata (L.) Wilczek), Adzuki bean (Phaseolus angularis Wight. ), Black soybean (Glycine max (L.) Merr. ), Lima bean (Phaseolus lunatus L.), Broad bean (Vicia faba L.), Pea (Pisum sativum L.), Common bean I (Phaseolus vulgaris L.), and Common bean II (Phaseolus vulgaris var. humilis Alief), respectively. The results showed that ethanol extracts of Adzuki bean (100 μg/ml), Black soybean (1–200 μg/ml) and Lima bean (100 μg/ml), could strongly stimulated the proliferation of MCF-7 cells (P<0.01 vs. control), of which the estrogen-like effects of the one from Adzuki bean and Lima bean were the firstly reported. 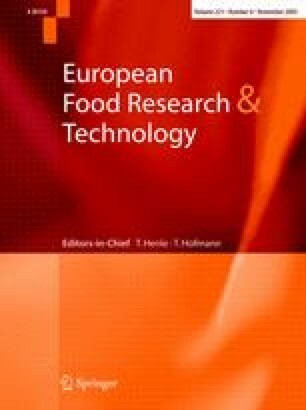 Cell cycle analysis revealed that the proliferation stimulatory effects of ethanol extracts of Adzuki bean, Black soybean and Lima bean were associated with a significant increase in the number of MCF-7 cells in S phase and in the G2/M population, similar to those of 17β-estradiol (E2). Using RT-PCR measurement, it was found that ethanol extracts of Adzuki bean, Black soybean and Lima bean could induce pS2 transcription in MCF-7 cells. Moreover, these reactions could be significantly inhibited by the specific estrogen receptor antagonist ICI182,780 (P<0.01 vs. the same concentration of compound without treatment of ICI182,780), suggesting that ethanol extracts of Adzuki bean, Black soybean and Lima bean exhibited estrogen-like activities through the estrogen response pathway by interacting with the estrogen receptor. This work was supported by Sino-German Research Project of NSFC-DFG, No. GZ051-3 (147), the National Natural Science Foundation of China, No. 30472112.